State Minister for Interior Shehryar Afridi has categorically said that there will be no comprise on law and order in Karachi. Talking to news persons along with Governor Sindh Imran Ismail in Karachi on Wednesday, he said that peace in the country particularly in Karachi has been achieved after immense sacrifices of law enforcement agencies including Rangers and Police and no one will be allowed to reverse it. The Minister of State said that menace of terrorism will be eliminated once and for all from the country through joint efforts of all stakeholders including provinces and federal government. He said that Prime Minister Imran Khan is very much concerned about the killing of Ali Raza Abidi and sent me to the city to have meetings with stakeholders so that achieved peace in the city could further be made strengthened. 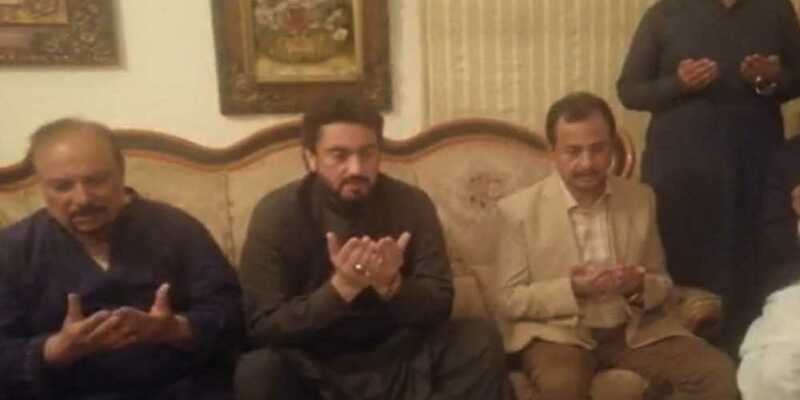 Sharyar Afridi said that all possible steps will be taken to apprehend the killers of Ali Raza Abidi and incident is being investigated from various aspects and hoped that soon the culprits behind this heinous act will be brought to the justice. He said that it is our collective responsibility to make the people aware of realities and avoid creating panic. He said the Karachi and the whole country has become cradle of peace and no one will be allowed to disturb it. Speaking on the occasion Governor Sindh Imran Ismail lauded the role of law enforcement agencies particularly Rangers in restoring peace in the city. He said the protection of life and property of the people will be ensured at any cost.